INJECTED MAGNESIUM RATCHETS: This Union exclusive process produces a material four times the strength of aluminum with only half the weight. Plus, magnesium is easily recycled and remains the eighth most abundant element on the planet. 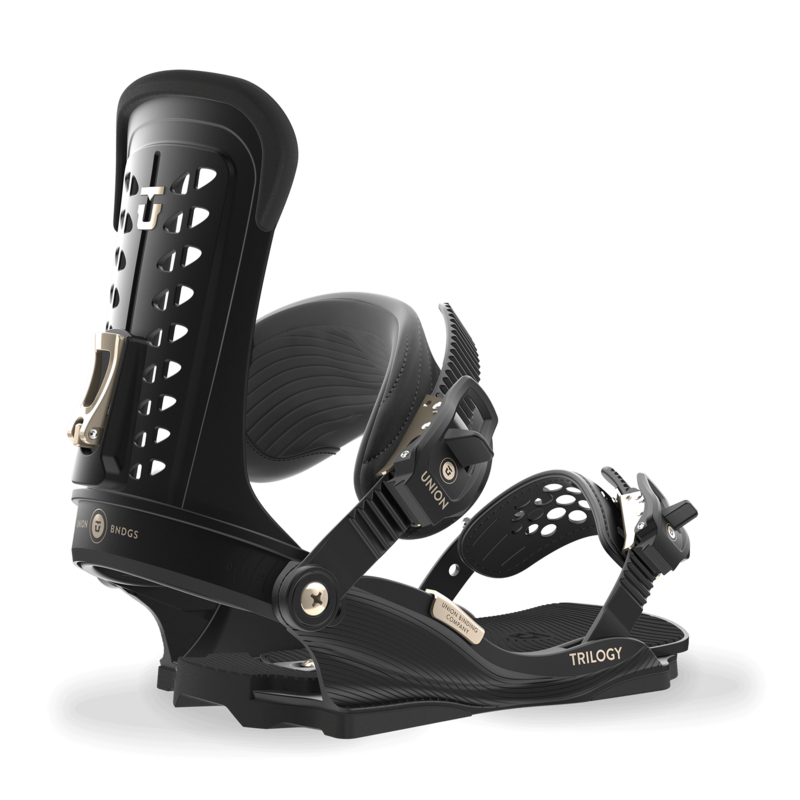 FIRST CLASS COMFORT: Over-padded ankle straps, Multi-Density Thermoformed EVA Bushings and UltraGrip toe straps equip the Trilogy with all day comfort, all season long.